Fund managers, tax and legal advisers and others involved in the establishment, management, or marketing of stapled structures. Owners of privately held groups with intra-group arrangements and their advisers. Investors into stapled structures and their advisers. The ATO is reviewing stapled structures that have adopted the arrangements set out in the Taxpayer Alert. Ensure that your structure falls within the exceptions and/or review intra-group arrangements and seek tax advice if the arrangements are not on market terms. The Australia Taxation Office (ATO) on 31 January 2017 issued Tax Alert TA 2017/1 (the Alert) which sets out the Commissioner’s concerns in relation to stapled structures. A simple example of a stapled structure to which the Alert may apply is found in Figure 1. 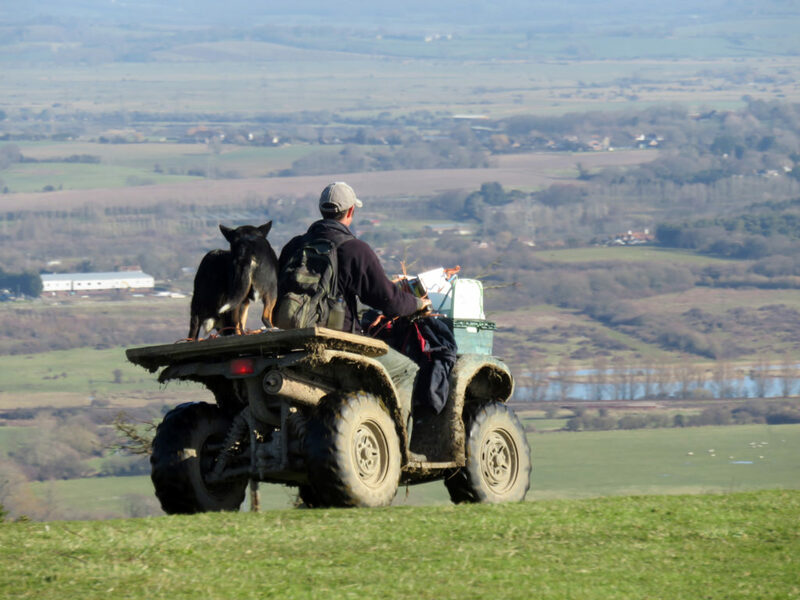 Particular focus is on arrangements where ‘a single business is divided in a contrived way into separate businesses’. The underlying concern is that stapled structures may (inappropriately) take advantage of concessional trust taxation rules and erode the corporate tax base, especially when utilised by overseas investors, who may have the benefit of concessional withholding tax rates. 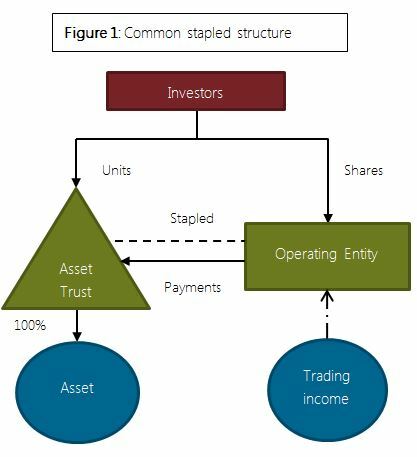 The ATO considers that the stapled structures it is targeting with the Alert may not effectively obtain the tax advantages sought, particularly if the asset trust can be considered to control the operating entity, excluding it from the managed investment trust (MIT) concessional withholding tax rates. Other concerns are that the payments to the asset trust are not deductible under the general deduction rules or that the payments are non-arms-length income in the hands of the asset trust, which can cause issues for MITs. The ATO has also indicated that the general anti-avoidance rules may apply. Although stapled structures are the focus of the Alert, the ATO considers the analysis in the Alert applicable to any structure in which a single business is artificially divided so that income is diverted to a trust to attract more favourable tax treatment. 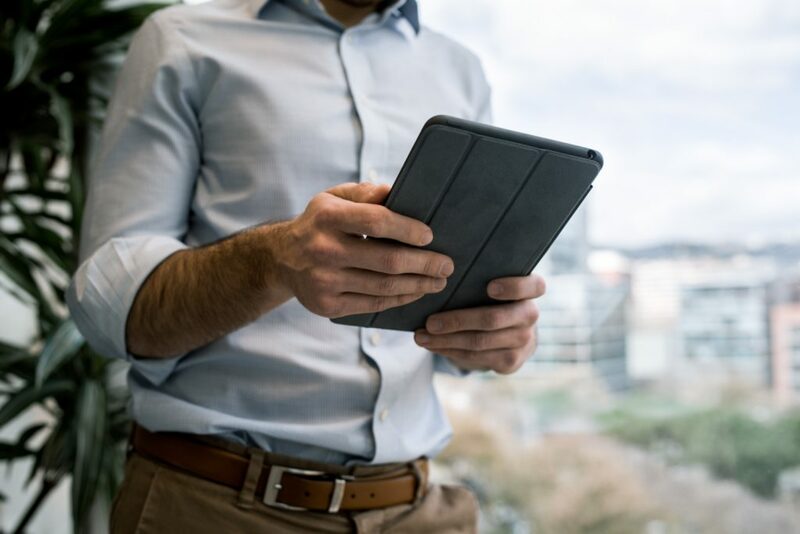 Broadly, the Alert applies to taxpayers utilising a stapled structure that purportedly fragments an integrated trading business in order to re-characterise trading income into passive income, which may attract a more favourable tax treatment. The ATO is concerned that the general anti-avoidance rules in Part IVA of the Income Tax Assessment Act 1936 (Cth) (ITAA36) may apply to such structures. Particular taxpayers are carved out of the Alert, namely real estate investment trusts that derive their income from leasing to third parties. Privatisations of existing businesses are also excluded from the Alert. While it appears that structures taking advantage of the concessional MIT rules for foreign investors seem to be a major target of the Alert, it may also relate to structures with only domestic investors, if payments from the asset trust are treated more favourably than the income of the operating entity. The ‘finance staple’: this structure involves the trust lending its equity to the operating entity. The ATO argues that the trust may be able to control the operating entity if the operating entity’s solvency is ultimately reliant on the trust not exercising its rights under the loan agreements. The ‘synthetic equity staple’: this structure involves agreements between the asset trust and the operating entity that may amount to equity interests in the operating company. This may include arrangements in which the operating entity pays profit equivalents (or a percentage of turnover) to the asset trust. The ‘royalty staple’: this structure involves the licencing of assets to the operating entity in exchange for royalty payments. The ATO indicates that in some cases the assets may not be of a type that can produce a royalty for the purposes of the tax legislation. The ‘rental staple’: this structure involves the asset trust leasing the assets to the operating entity for the purposes of the operating entity conducting its business. The ATO makes the comment that ‘it is often also the case that the business is not one of capable of division in any commercially meaningful way’. This example structure is quite broad and could potentially apply to a very large number of groups, particularly in the privately held group sectors. Under this broad definition, hotel, retirement village or aged care facility operators that lease their premises from a related asset trust could be caught. What is the ATO view? the structure may be entered into for the dominant purpose of obtaining a tax benefit and accordingly be subject to the general anti avoidance rules. While the ATO states that the Alert is intended to target structures that are ‘contrived’, the broad description of the structures in the Alert is a cause for concern. Stapled structures are common investment structures for foreign investment – which sometimes rely on concessional tax treatment under the MIT rules to attract investors. The ATO’s approach to the interpretation of control is also troubling as it potentially expands the concept beyond what has traditionally been accepted in the context of tax law, although we note that this issue of control has long been a point of contention between taxpayers and the ATO. What should fund managers do? Investment structures which are still in the establishment phase should carefully consider the terms of any intra-group agreements. If it is intended that intra-group agreements will not be on arms-length terms, strong commercial reasons should be documented to help prevent the general anti avoidance rules from applying to the structure. Fund managers or others establishing stapled structures should consider seeking a ruling from the ATO that the proposed structure is tax effective. 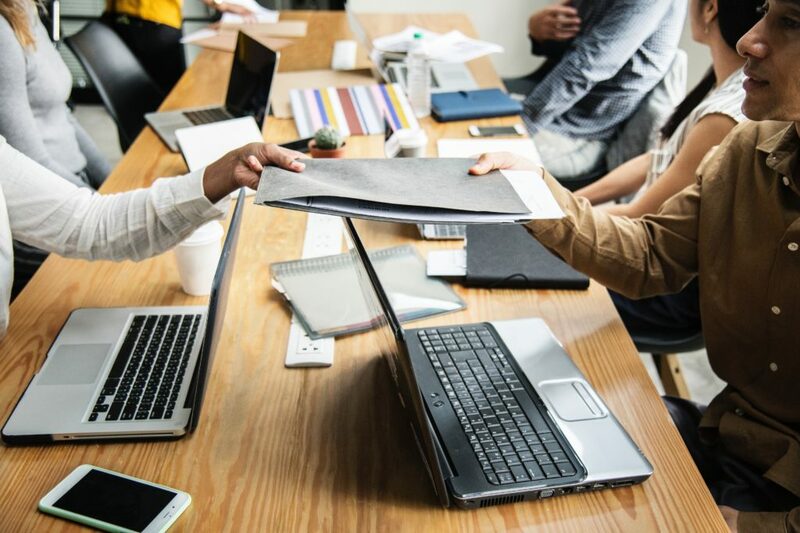 Established structures should review any intra-group agreements to ensure that they are either on arms-length terms, or if not, the commercial reasons for non-arms-length terms are well documented. Terms in intra-group agreements that could be considered to grant control of the operating entity to the asset trust should be carefully considered. If those terms are not essential to the operation of the investment structure as a whole, the conservative approach of removing those terms may be preferred. Fund managers, investment managers, or trustees involved in stapled structures may wish to engage with the ATO proactively to ensure that their structure does not fall within one of the examples listed in the Alert or would otherwise be tax ineffective. This option may be of particular importance to investment structures in which the concessional tax treatment of MITs are relied on to make the investment viable. If the ATO determined that a MIT was a trading trust, investors may potentially be subject to up to 15% additional tax on their investment in Australia, which may prove fatal to the viability of their investment. Investors should ensure that structures they are considering investing in have taken appropriate steps to confirm the correct tax treatment applies to payments that will be made to investors. This may include seeking a ruling from the ATO confirming the tax treatment of the investment structure.